Nintendo is pulling out all of the stops for Super Smash Bros Ultimate. There are over 800 audio tracks, hundreds of stages, and a bigger roster of fighters than any of the previous games. 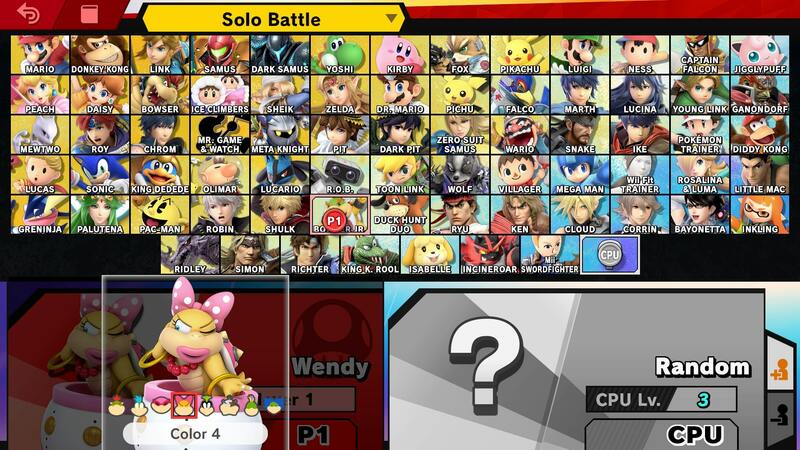 Every character that has featured in the series so far is back for Ultimate, alongside some new faces. To help you get up to speed, we’ve been putting together character guides for each of them. In this Super Smash Bros Ultimate Bowser Jr Guide, we’ll be taking a look at Bowser Jr. This means detailing the changes that have been made since their last outing, as well as some info on Alternate Costumes and Final Smash. Bowser Jr is one of the more annoying fighters to play against in Super Smash Bros. Ultimate. In the table below, you can find a complete moves list for Bowser Jr. 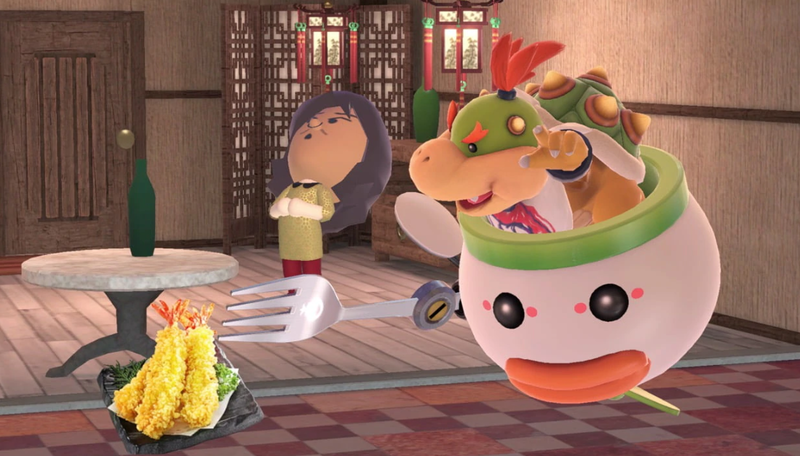 There have been a number of changes to Bowser Jr since their appearance in SSB4. These range from moveset tweaks, to rebalancing of damage output. We’ve listed all of the changes to Bowser Jr that we’ve noticed below. Several animations have been altered including jumpsquat, grab, pummel, Mechakoopa. Final Smash has been shortened. Down Throw deals more damage. Koopalings do not use their hammers, instead pulling out the wands they use in New Super Mario Bros for Wii U.
Bowser Jr has some pretty awesome Alternate Costumes. 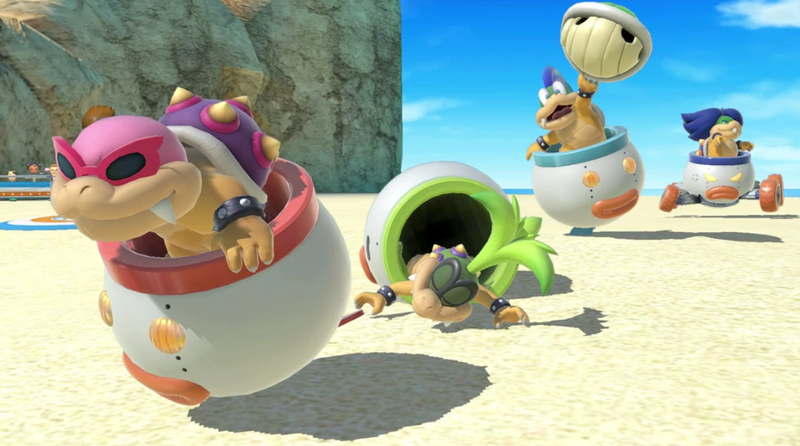 Instead of being simple color swaps like the majority of character costumes, players can actually play as each of the Koopalings when selecting Bowser Jr. This includes Lemmy, Wendy, Roy, Morton, Iggy and Ludwig. You can check out Roy in the image embedded above. Bowser Jr uses Shadow Mario Paint as his Final Smash in Super Smash Bros Ultimate. Not much has changed since the move was last used in SSB4, though it does appear to be much shorter in duration. You can see Shadow Mario Paint in the trailer embedded above. That’s everything we know about Bowser Jr in Super Smash Bros Ultimate. We’ll be adding more info as we get it, but in the meantime you can head over to our Super Smash Bros Ultimate Guides Hub for more info on the game.